The main challenge was to clear the playing field by forming groups of three or more like-colored marbles before the balls reach the bottom line of the screen. To design the game board having multiple bubbles, the bubble shooter and a direction arrow to control directions on the game board. To implement multiple poster and animation nodes at run time for setting the bubbles and handling the animation. The score has to be calculated by the number of bubbles forming the groups before the bubbles reach the bottom line. First, we designed the game board using the scene graph’s different renderable nodes. Then we handled the direction arrow control on the game board. Implemented logic in brightscript for creating multiple posters and animation nodes to set new bubbles on the game board. Implemented logic in BrightScript for checking the groups formation and calculate the number of bubbles in the groups. Successfully designed the game board having multiple bubbles, bubble shooter and direction arrow. Handled the arrow control to shoot the bubble on the game board. Completed the smooth animation for moving multiple bubbles on the game board at the run time using multiple poster and animation nodes. 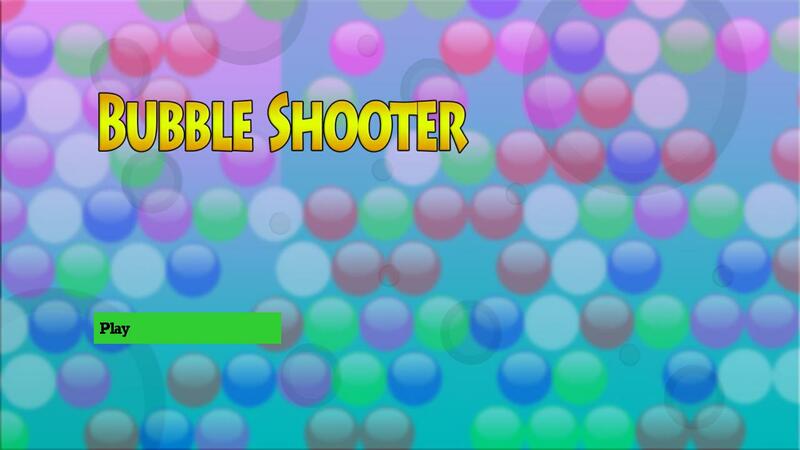 Bubble Shooter lovers finally found their favorite game at the Roku Channel Store.